Have you ever thought about opening your own restaurant and competing with the city’s greatest chefs? If so, then have a look at Cooking Madness: A Chef’s Restaurant Games for some good old cooking fun! 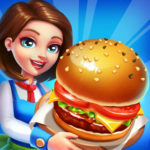 This one is more of a tap-tap-tap type of game rather than drag’n’drop style, but it is definitely worth a try, as it will initiate you into the world of restaurants. Get ready and become a master chef with your own staff ready to help you on your way to becoming the best one out there. 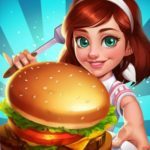 And if you need some help along the way, don’t worry, as we have come up with a number of Cooking Madness cheats, tips and tricks to help you out. 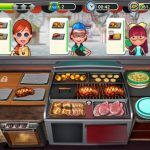 Something different about this game in comparison with other arcade cooking games is that you don’t really have to drag the food to the customer. Actually, is way simpler than that initially: you just have to tap on a completed dish in order to deliver it to your client. To cook dishes, you do the exact same thing: tap! As we were saying a bit earlier, tap-tap-tap and prepare to get better at time management in your newly-opened restaurant! With that said, let’s move on to our Cooking Madness tips, cheats and strategy guide right after the jump! In Cooking Madness you can get pretty overwhelmed when you see that you’ve got 5 customers in line, ordering and waiting for their food. You need to organize stuff: firstly, tap on the dish that needs preparing, because there’s a certain amount of time that it needs to be cooked. Then, if your client has a bigger order (with more than just one dish), while you’re waiting for the first one to prepare, give them the dish that doesn’t need preparing. For example, if they order a Steak and a Cookie, you need to firstly pot the Steak on the oven, then tap on the Cookie. The Cookie will then get ticked, and while you were serving it to your customer, the Steak is ready! Now, you tap on the steak. It will go on the preparing table, where you season it with some mashed potatoes. After that, just tap again on the meal and it will be served to the client, which will definitely make them happy! You see that green line right next to your client? Well, that indicates how zen or angry they are about waiting for their food to be ready. You need all the money you can get because the levels get harder and harder and you don’t want to miss out on some great cash, right? IIf you want to keep up, you’ll have to upgrade your kitchen from time to time. Updating the oven lets you cook more dishes at once, upgrading the soda maker lets you serve more than a single drink (the drinks take a lot of time), and the french fries machine would also need an upgrade, because it’s pretty slow when it comes to, well… frying potatoes. Don’t hesitate to upgrade your restaurant just so you can save some gold – trust me, you’ll need the latest versions of cooking machines, because your clients will soon start to get very unsatisfied if you leave them waiting for too long! 3. More Than Just One Restaurant? Yes, you read it well! You own 2 places: one’s the Breakfast Restaurant and the other is the Fast Food, which is a bit more difficult to handle because clients ask for more dishes in a shorter time and you really need to satisfy them in order for them to return and buy again from you. There are 2 separate worlds with separate levels and also with different kitchens, because, well, you can’t use the same stuff for cooking in a Restaurant that you use in a Fast Food kind of place. Watching ads can help you gather more gold and then you can upgrade your utilities easier. Free coins are always a good thing, right? You can watch even 2 or 3 adds at once because they’re not so long after all and they give you like 20 coins per each add that you’ve watched. While you get a sip of your coffee or check your emails on your laptop, you can let them run and then just collect the gold. First of all, it’s better if you buy them before you play the level, not at the end of it when you’re given the chance to spend 67 Diamonds on a one-time Boost. If you know that the next level will be difficult, buy the Boost and don’t worry about losing. You can only play each level 3 times. Every time you finish it, you get Diamonds. When you see a pink level, that means you can play it again and get some more. You’ll see that with every level you pass in Cooking Madness, you collect a Key. Well, that key is a must, because without it you can not advance more into the game, and, let’s be honest… Who wants to get stuck in such a pretty game? (Candy Crush taught us all about rage quits already!). The answer to that question is definitely yes! Pay attention ‘cause each level has a set of goals you need to accomplish in order to get more stars and successfully pass onto the next one. 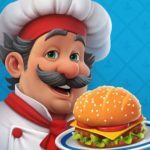 It’s either about earning a certain amount of Coins, or dishes you should serve during the level. Sometimes, you’re not allowed to throw food away, other times you can’t burn any food because it would cost you to fail the level. Pay attention to the Goals that are given to you before your level starts, so that you can get some proper Boosts to help you finish the level. Every day you enter the game, you have the chance to complete 2 out of 3 tasks. If you complete them, you get some really nice rewards. If you want to change a specific task, you can do it by watching an Add. When you’ve finished 2 of 3 tasks, you have to collect your coins and your bonus reward. And this ends our Cooking Madness beginner’s guide in which we tried to wrap up pretty much everything you need to know in order to master the blade of the knife in your own restaurant. Make your customers happy, give them tasty food and watch them coming again and again to your restaurant to eat your amazing dishes! I am stuck on world 2 level 196 please help.ive tried using boosts and still can’t get past it..